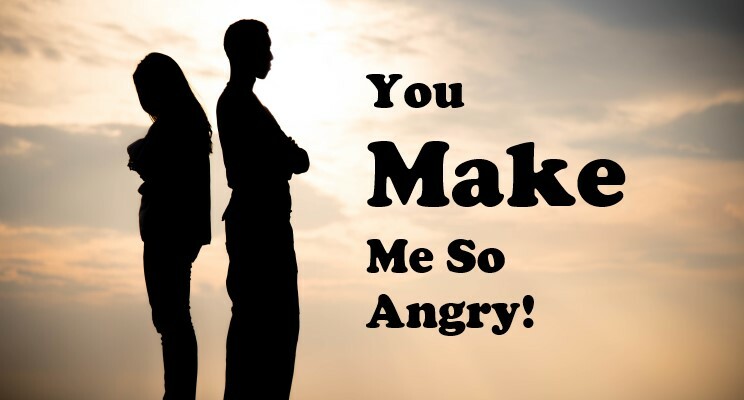 Let’s start with a couple of questions for your consideration; “Is it possible to make another person angry? Can we make another person feel any emotion… i.e. love, happiness, sadness; depression, joyfulness, or how about feeling motivated at work?” Can we truly make another human being feel anything they don’t either allow, choose or create for themselves? My experience, and studies, suggest that no one can make another person feel any emotion, at least not without that person’s cooperation, involvement and/or large doses of what is called “victim mentality”. Victim mentality is when we blame others for our situations, or in this example, our emotions; for instance: “You make me angry”. This statement implies the speaker has no personal accountability for their feelings, or perhaps more importantly, no responsibility for their actions as a result of their anger. It implies their personal feelings are someone else’s responsibility. Are we willing to admit a 7-year old child has the power to make grown adults angry, to force us to act out of control, to yell and scream? When we’re thinking rationally, the answer is an easy, and resounding, absolutely not! Unfortunately, thinking and acting rationally, while emotional charged, is not easy. Emotions happen – emotions are normal and natural. We rarely choose, at least initially, the emotions we experience. Someone “cuts us off” in traffic and we feel anger. Our spouse is “nitpicky”, and we feel irritation. We are faced with unexpected problems at work, and we feel stress. Our manager walks past us in the morning without saying hello, and we feel unimportant. Our mom or dad uses a “harsh tone” and we feel unloved. Our college student doesn’t call home and we feel lonely or unappreciated. Emotions provide richness in our lives – Love feels more meaningful when we have known loneliness. Victory feels sweeter when we have also known defeat. Success is more rewarding when we have overcome failures. Movies with happy endings are more gratifying if we cried or experienced sadness in the middle. You get the point, richness in life is greatest when we experience the full emotional tapestry of what it means to be fully human. Emotions are not the problem – to be emotional is to be human. Problems arise when we either act out, or act out of, our emotions… when we allow our emotions to drive our actions without a conscious and deliberate “manual override button” to push. We must find ways to express, and discuss, our emotions more productively and rationally. The following thought may seem obvious when we’re thinking rationally but: when we act out our emotions in a destructive manner, it is destructive to ourselves, to our relationships and to others. I’ll conclude with a short personal story. I so wish I could say I have always acted professionally at work. And, I also wish I could say I have always acted lovingly towards the most important people in my life… my family, including parents, siblings, spouse and children. Of course, that is not the case. In a matter of less than two rings of my office phone, I went from verbal ugliness with my children to a very professional, “Good afternoon, this is Bryan, how may I help you?” And, even more difficult for me to confess; I returned to my angry state at the conclusion of my professional call. The truth is, I wanted to be angry because in the moment I felt justified in that anger. In a sick way, it felt good. Bottom line, I could and did, control my anger because I needed to be a professional for a client call. This means of course, I could have controlled my anger in the situation with my children as well. I have never forgotten that lesson. I still slip up on occasion… because after all, I’m an emotional being. We all are. In those moments where a situation, or person, has “made me angry”, I have found repeating the following affirmation to be helpful: “I can’t help the way I feel right now, but I can help the way I think and act”. I hope repeating this affirmation will be helpful for you as well. Let’s all learn from, appreciate and enjoy our emotions; they are after all, the essence of our relationships and our lives. The goal isn’t to be perfect… simply better, in every way, every day. And, as always, how will you lead differently, or better, this coming week?